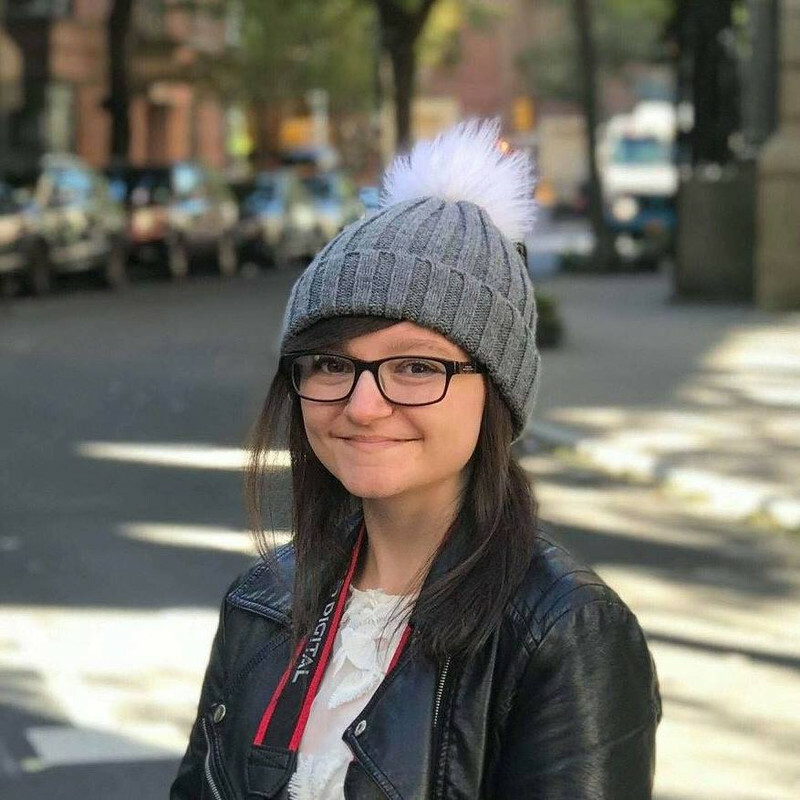 I'm Norah, and my life happens within the walls of my house, where I live with my mom, and this evil overlord called Agoraphobia. Everything's under control. It's not rosy - I'm not going to win any prizes for Most Exciting Life or anything, but at least I'm safe from the outside world, right? Wrong. This new boy, Luke, just moved in next door, and suddenly staying safe isn't enough. If I don't take risks, how will I ever get out - or let anyone in? As a lot of you know, I have Chronic Anxiety, and Agoraphobia was a huge part of that for a long time. 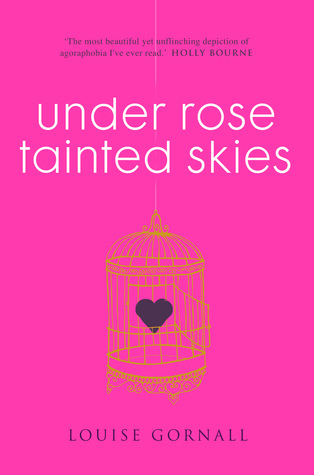 When Under Rose-Tainted Skies crashed into the book blogosphere with a bang (seriously, it seems like every blogger and their cat has read it) I was ecstatic. How many YA books can you name that contain a theme of Agoraphobia, not including Under Rose-Tainted Skies? I can name one: Finding Audrey by Sophie Kinsella. That's it. Agoraphobia is such a huge problem, especially during adolescence when everyone you know is getting their first job and their first car, going to parties and going travelling - and you can't stand outside of your own house for more than 20 seconds without having a panic attack. It needs representation. Even more importantly, it needs accurate representation - and, seeing as Gornall is Agoraphobic herself, you won't be surprised to hear that she got it spot-on. Our wonderful protagonist, Norah, has OCD. Not having it myself, I wasn't able to relate to this book as much as I thought I would, although I definitely have experience of worrying about thirty different things in the space of a minute... What I could relate to most, as I've already said, was the Agoraphobia aspect. It was interesting to read this book having come out the other side; I still have anxiety, clearly, but going out rarely fazes me these days. And yet there was Norah, still unable to sunbathe in her own garden. I just wanted to hug her and tell her that things get better, that all those dreams she has - from being able to smell the flowers in her own garden, to learning to drive and going to France - will happen. Maybe not soon, but one day. Towards the end, she was craving the sun on her skin and showing signs of wanting to do things that are outside of her comfort zone, and - from personal experience, anyway - that's when things start to change. This was, partly, down to Luke, Norah's new neighbour. Don't worry, it's not one of those books where the sick girl is instantly cured by the sight of a six-pack. Luke's part in it was more along the lines of acting as a motivator, something to work towards. I loved how understanding he was and I reckon they're going to be just fine. I'd love to know for definite, though... second book, anyone? 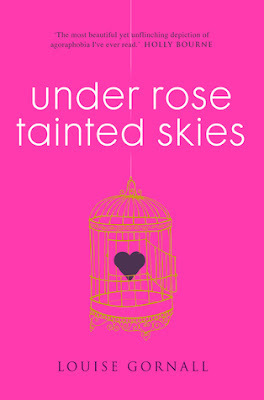 Under Rose-Tainted Skies, in conclusion, is witty, hopeful, and an accurate portrayal of Agoraphobia and how debilitating an illness you can't see can be. Perfect for fans of Holly Bourne and Alyssa Sheinmel. What a lovely review! I actually can't wait to read this book too.. as soon as my fever is getting down.